We are NOT pushy salesman that will tell you want you want to hear just to get your business. We will treat your home as if its our own. ​We will arrive on time and clean up after ourselves daily. ​We will give you the service and relationship you deserve. 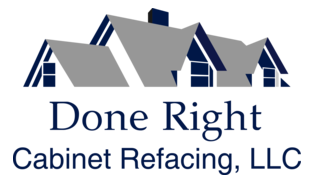 Done Right Cabinet Refacing, LLC, serving Minoa, Syracuse & Utica, NY and surrounding areas, is an up and coming cabinet refacing business servicing residential customers in the surrounding areas of Syracuse, Utica, Rochester, Watertown and Binghamton. Kevin James, Owner, Founder and Master Craftsman has been refacing kitchen cabinets for over 30 years making dreams into reality! He has refaced hundreds of kitchen cabinets in the CNY area and is considered by all to be the best in the business. From the lavish to the simple, we have the knowledge and expertise to handle cabinet transformations of all varieties. If you can dream it, we can make it happen! Our dedicated staff offers new kitchen cabinet installation, bathroom vanity services, and more. We take pride in offering an exceptional customer experience, with free, no-hassle estimates and consultations, budget-friendly pricing, unmatched service and unrivaled craftsmanship. Done Right Cabinet Refacing, LLC is fully insured for your peace of mind. ​Bring your dream kitchen to life today with Done Right Cabinet Refacing, LLC!